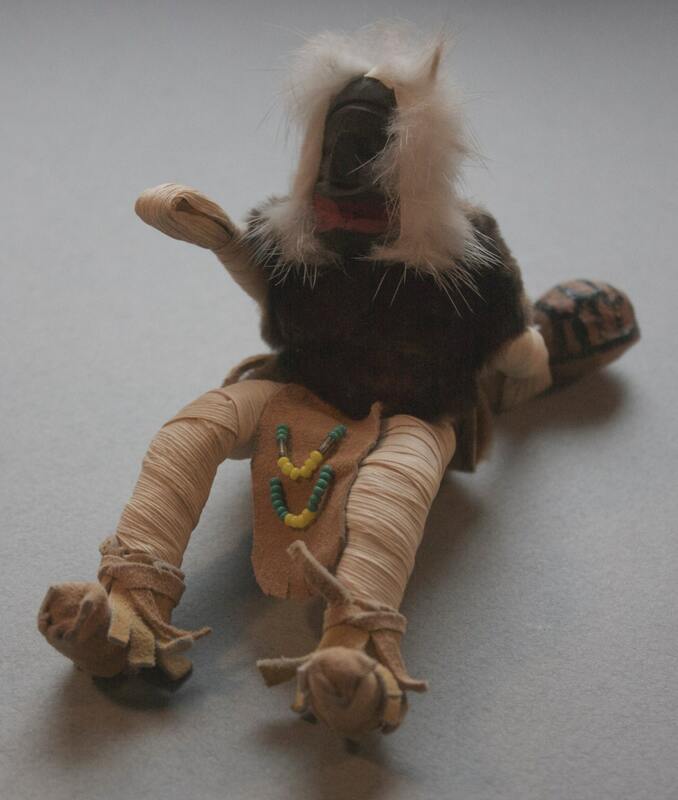 This Iroquois False Face Society doll is not a toy and should not be given to children. 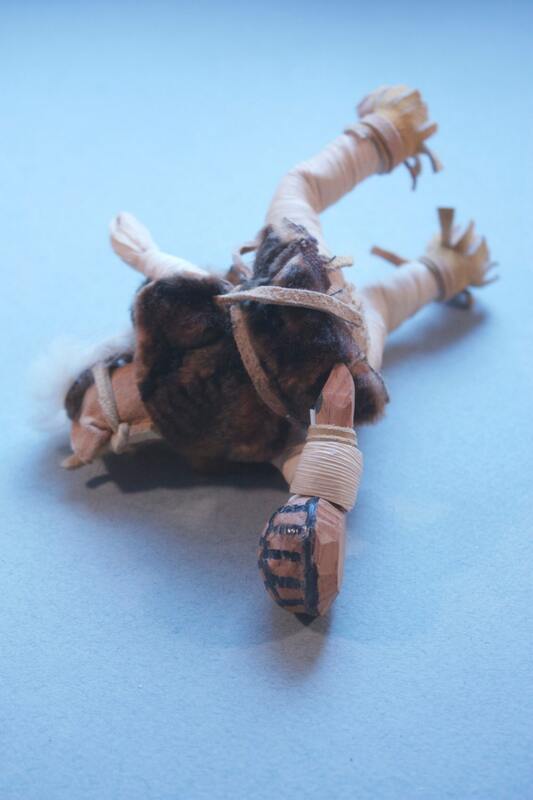 The Iroquois believe that the mask is not a mask but a living representation of a spirit and should be honored and treated accordingly with respect and ritual. 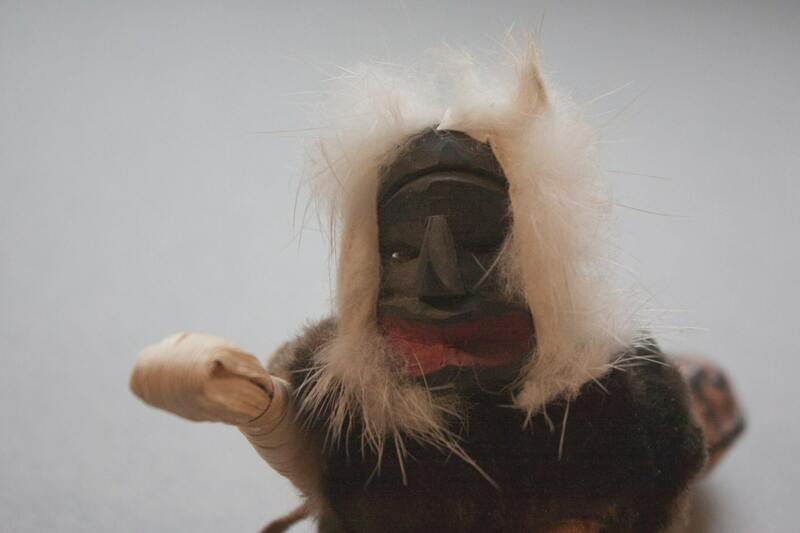 This masked doll is made out of corn husk and has a head with a wooden carved and painted mask and a halo of feathers. 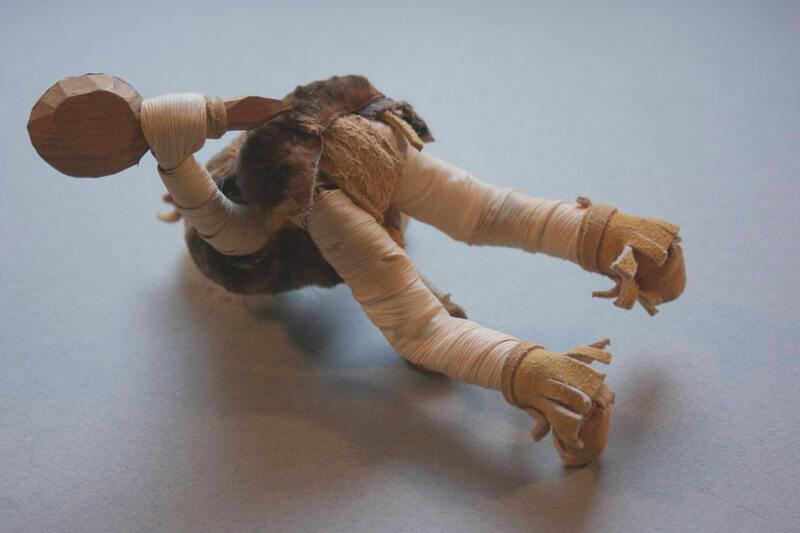 He wears a fur wrap, leather moccasins, a beaded leather loincloth, and the traditional tobacco pouch tied behind his head. He holds a carved and painted wooden turtle shell rattle. 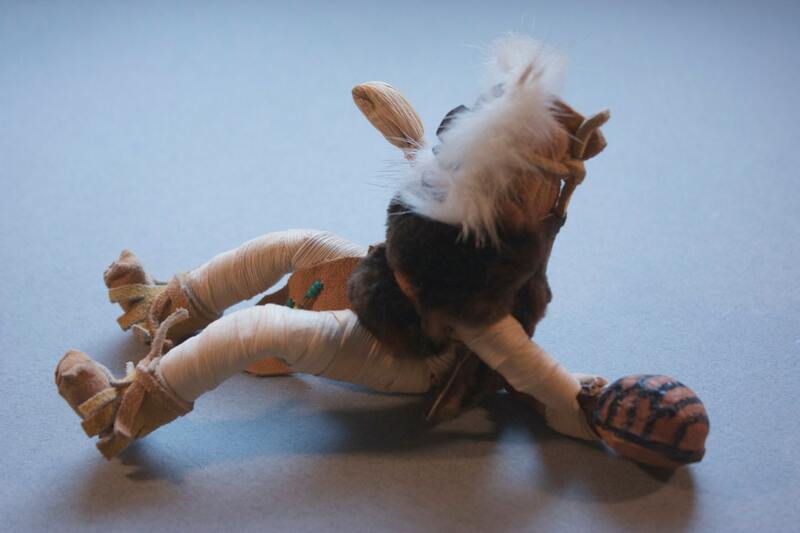 From the turtle shell to a moccasin, the doll is 7" in length. From the tip of his head/mask to his seat, he is approximately 3.5" tall. The False Face Society is a medicine society used to cure patients when all other societies were unable to bring about a cure. Thank you to http://nativeamericannetroots.net/diary/787 and to http://snowgoose.ca/native/false.htm for the valuable information on the False Face Society.